Many with science degrees are denied entry into industry because of a lack of wetware laboratory experience, or due to a long period of absence. The RSI Biotechnology internship was created to fill this gap. Laboratory research is similar to an artisan’s craft, requiring precision and hands on experience to excel. Like a concert pianist, there is a unity between mind and body that comes only through intense practice. The success of our program is apparent by the fates of our alumni, with 81% of our program graduates securing a position in the biotechnology or another high tech field. The RSI biotechnology internship is a free 6 month highly intensive program designed for individuals with some science knowledge who desire to enter the biotechnology industry. Because there is no cost, as is true of our other programs, the internship is also highly selective. Our program emphasizes learning by immersion in a professional laboratory setting doing biotech research and development. In comparison to other programs that only provide theory, the RSI Biotechnology internship teaches theory as a prelude to daily intensive laboratory work. Technical topics covered in the internship include: basic chemistry with an emphasis on stochiometry, molecular biology, restriction enzymes, polymerase chain reaction, real time PCR, oligonucleotide design, DNA analysis, bioinformatics, advance cloning schemes, protein expression, protein characterization, biochemical analysis, mammalian tissue culture, RNA silencing and expression analysis. The goal of the program is for interns to effectively apply theoretical knowledge to perform and troubleshoot their experiments. From our years of experience in the biotechnology industry, individuals who possess both of these skills – the ability to troubleshoot effectively and the situational application of theory- are very rare and make valuable scientists. 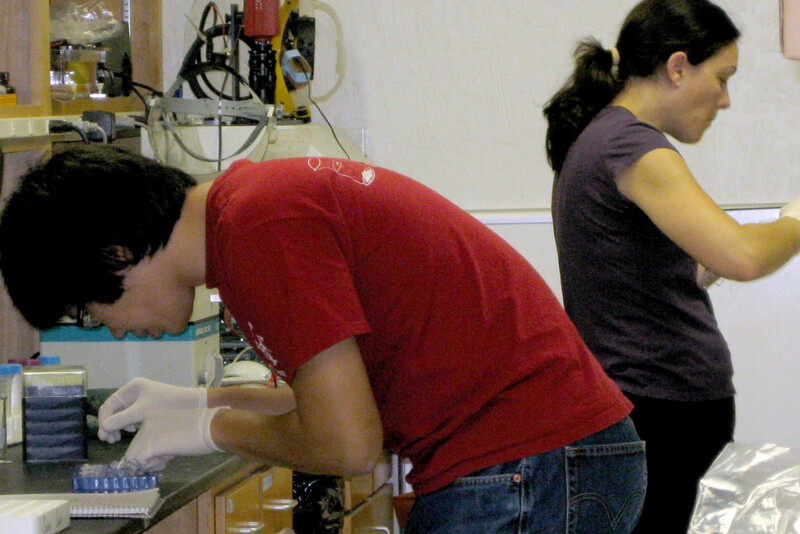 Interns work alongside RSI staff scientists and assist in RSI research projects. Completion of the internship requires demonstration of the ability to perform tasks independently at an entry level, and completion of a final project. We always invite our motivated students to continue beyond the end of their internship by pursuing an independent project.